God will meet you right where you are, in order to take you where He wants you to go. OUTFIT OF THE DAY: So I've decided to paritcipate in the This or That! 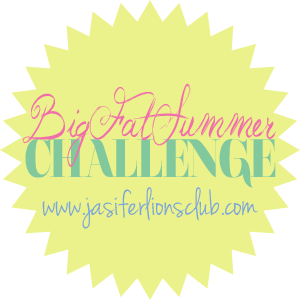 Summer Trends style challenge over at Megan Mae Daily. 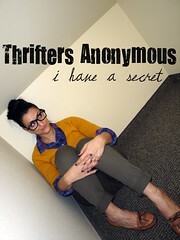 My first Fashion challenge through bloggin...sweet! lol Today's challenge was a choice between flats or platforms. I must admit, I have a passion for platforms and wedges..but this time I opted for flats. GOTTA luv Em! I adore these open toed flats, I paired them with red skinny jeans from f21 and a black/grey crop top. Added accessories were a red heart necklace from torrid, silver bracelets (f21) and a glass ring (gifted). Hope ya'll enjoy! LOVE the red jeans. Glad you opted for a challenge and went for flats. They look great. Thanks so much for joining us this week. Loving that shirt! Such a cool color block shirt! 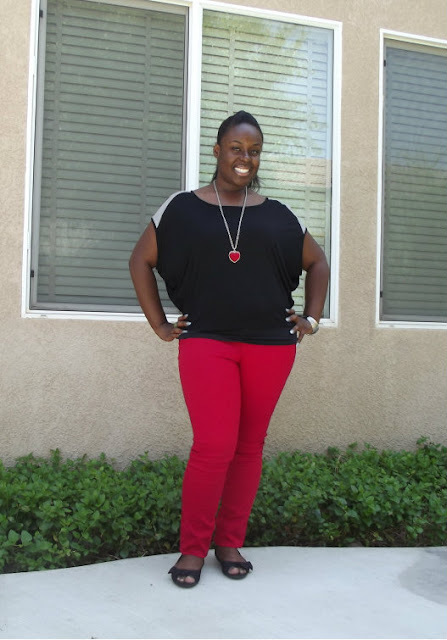 Love those red skinnies and that pop of red on the black top is just perfect! Yes it is!! and thnx!! I love your red pants! !